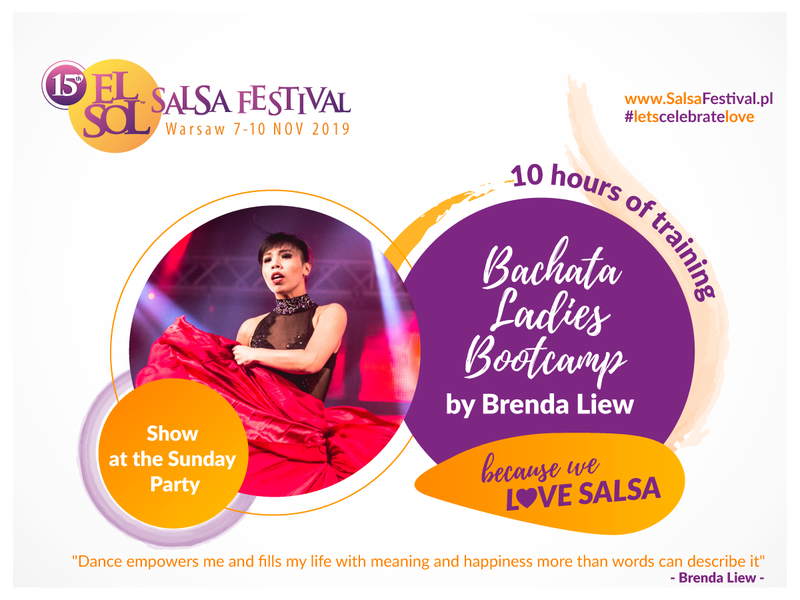 Join Brenda Liew in a bachata bootcamp in Warsaw this year with an exuberant and powerful choreography that brings a completely new style and perspective to the bachata dance world. Stressing on powerful execution and performance techniques, get ready to experience a bootcamp like none other! Her dedication to coaching and attention to details will bring out the best of every individual. All while still having a lot of fun together with the other dancers. The bootcamp will take place on 7th – 10th November, 2019 (Thursday to Sunday). 10 hours of intensive training ended with the show during Sunday’s party. You’ll find all prices in our PRICES section.